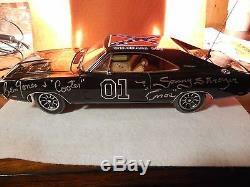 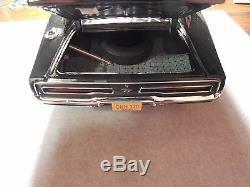 You get this great ULTRA RARE "Dukes of Hazzard" 1/18 scale diecast "General Lee" as seen in photos. 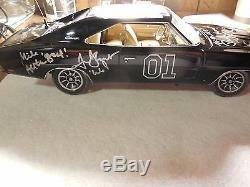 This General Lee has been HAND SIGNED by cast members - Rick Hurst "Cleetus", Catherine Bach "Daisy", Tom Wopat "Luke Duke", Sonny Shroyer "Enos", James Baest Rosco P. Coltrane" who also added the quote "You Dipstick" (Ultra Rare) also signed by Ben Jones "Cooter", I stand by these signatures 100% as they all were signed in front of me at various "Dukes signing events mostly at Cooters Place in Nashville Tn. 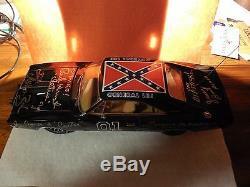 This makes a great display piece for your collection. 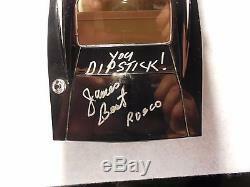 What you see is what you get with this item, ask any questions you wish about this item. 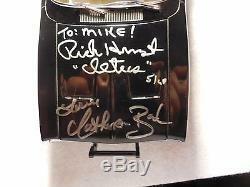 I do have some photos of the cast signing this exact car and will try to look them up and can send digital copy of the ones I can find. 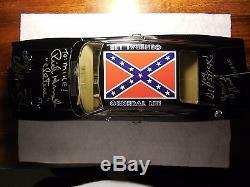 The item "The Dukes of Hazzard 1/18 Diecast black General Lee Cast Signed Super Rare" is in sale since Friday, January 29, 2016.